Using a garden fence paint to add colour and character to a garden is now very much in. In fact, many displays at national gardening shows and events demonstrate how a painted fence can enhance outdoor living spaces. For example, darker colours can enhance the lush greens of plants and shrubs. Lighter colours can introduce a more Mediterranean feel with pastels and warm tones. What is a garden fence paint? 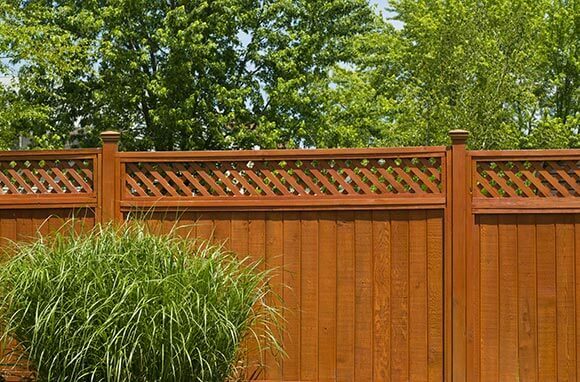 When it comes to painting garden fence panels, the definition of a paint becomes blurred. In fact, many garden paint products are essentially coloured exterior wood stains that soak into the surface of the wood to change its colour. Another example are garden wood preservatives. Although these tend to be more ‘wood tone colours’ such as Cedar Red, Summer Tan, Golden Brown, they can include other shades such as black and green. Although their primary purpose is to ‘preserve’ the timber, the colours are there to enhance or change the appearance of fence panels, sheds and other garden wood. 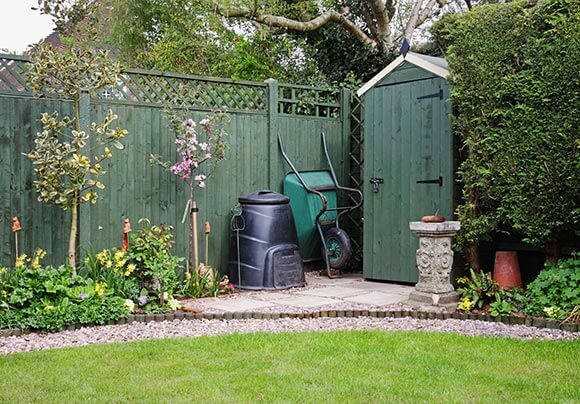 There are a multitude of garden paints available that are perfect for fence panels and posts. Most are water based and available in a wide range of attractive shades and colours. Deciding which paint is best is often down to the colours available from a given range or brand. In addition to garden fence panels, many garden paints are also suitable for garden furniture, sheds, stone, terracotta and other garden surfaces. If looking to treat garden fences prior to painting with a a wood preservative, it’s important to make sure that its one that does not contain wax, oil or silicon. These types of wood preservative are often labelled as being water or weather resistant. Wood preservers that contain wax, oil or silicon cannot be used with water-based fence paints as they will repel the paint and prevent it from coating or staining the wooden fence panel and posts.